The chairman of the Culpeper County Republican Committee announced Thursday he will run against Ed Scott for the 30th District seat in the House of Delegates. Nick Freitas, 35, made his announcement in Orange Thursday evening, emphasizing the importance of individual liberty and economic freedom in his speech. An Army veteran who was honorably discharged in 2009 after serving in the 82nd Airborne Division, 25th Light Infantry Division as an infantryman and as a Green Beret, Freitas moved to Culpeper with his wife Tina and three children in 2010. “Conservatism and respect for our Constitution are in Nick’s DNA” said Al Aitken, Former CCRC Chairman. Scott, a Republican, is serving his sixth term as delegate, first elected in 2003. He serves as Chairman of the House Agriculture, Chesapeake, and Natural Resources Committee. He also serves on the House Appropriations Committee where he chairs the subcommittee responsible for Agriculture, Commerce, Technology, and Natural Resources and the Science & Technology, and Transportation Committees. In 2013, Scott was opposed by Democrat Traci Dippert. Scott won with 63 percent of the vote. Reached by telephone Monday, Scott said he has not contemplated running again yet. "I'm focused on getting ready for (the General Assembly) session," Scott said, pointing out that he is searching for an apartment in Richmond and working on the budget. While Freitas will also seek the Republican nomination, the method of nomination has not yet been decided by the 30th District Legislative District Committee. Freitas said that he has been dedicated to the conservative principles his entire life. He said he believes Scott has accepted the "progressive Democrats 'new normal' of fewer jobs, higher taxes, onerous regulations and sky rocketing debt and deficits. "Ed Scott has voted for the two largest tax increases in Virginia history and despite being a Republican from a very conservative district he has not provided leadership with respect to keeping government within its proper boundaries," Freitas said. Freitas is seeking public office for the first time, and extols the virtues of the restoration of a limited, Constitutional government. He also wants to focus on the economy, education and farm/food freedom. "Virginians deserve better than the reduced and mediocre vision of those Democrats who believe that the government has the solution to all of our problems," Freitas said. "We need to boldly and unapologetically advocate for greater freedom in the market place, in our educational institutions and our farms. Ours is a vision which embraces freedom and trusts Virginians to be the authors of their own lives. When government focuses on those issues for why it was originally created and stops trying to dominate its own citizens it provides a safe and secure environment where everyone can prosper." ORANGE, VA - Last night at 6PM at the Silk Mill Grille in Orange, the kickoff for the Nick Freitas for Delegate Campaign for the 30th House District of Virginia was held. Former Chairman of the Culpeper County Republican Committee Al Aitken and Former LG candidate and current House of Delegates candidate Susan Stimpson introduced Nick to a standing room only crowd of over 80 people from all over the 30th district. Nick spoke on the importance of engaging in the battle of ideas taking place in the Commonwealth and all over the country, laying out his priorities and process centered on keeping government within its proper constitutional limits. Nick emphasized the importance of individual liberty and economic freedom in his speech and highlighted his dedication to preserve at home that dream of freedom which is being so faithfully defended by our men and women overseas. The 10 min speech was very well received being interrupted for applause several times and ending in a standing ovation. Many people in attendance offered their thoughts on the speech and Nick’s candidacy. 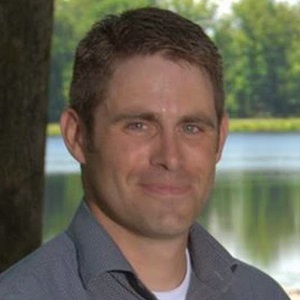 Nick Freitas is the current Chairman of the Culpeper County Republican Committee and candidate for the 30th House District of Virginia. Nick moved to Virginia after his military service, including two combat tours in Iraq. Nick and his wife Tina and their three children live in Culpeper County.